the prostate cancer research & assistance fund is a non-profit international organization incorporated in the state of arizona. our programs are dedicated to the collecting and distributing of information and educating the public about therapies, with emphasis placed on the treatment and prevention of cancer and other deteriorating diseases. pcraf also sponsors and supports continuing research into methodologies for the treatment and prevention of cancer. "awareness builds a healthier lifestyle." providing funding for research and programs that promote and enhance the treatment of cancer and other life-threatening diseases. supplying much needed equipment, medical supplies, and medicines to hospitals and clinics both in the united states and internationally. providing emergency information to victims of cancer and their families, so that they might make an informed decision on how and where to treat their illness. develop our networking with other medical non-profit organizations to increase the awareness of therapies for the treatment of cancer. build a strong network of dedicated, caring individuals to provide hope for the victims of cancer. the alternative cancer research fund (dba: prostate cancer research & assistance fund) relies on tax-deductible donations from the public to continue our work and help provide a healthier lifestyle to those victims of cancer. thank you for your continued support. 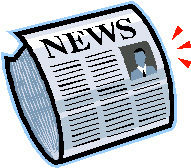 for the latest news about prostate cancer, click the icon below. articles are provided by medical news today, and updated daily. pcraf is not responsible for the content of these articles, and assumes no responsibility for statements published in any of the articles. ï¿½ 2008 alternative cancer research fund.